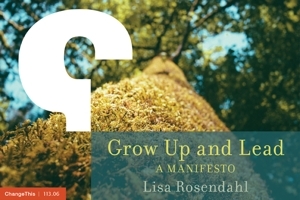 Lisa Rosendahl — Redirection via "The Gold Slip"
We received an e-mail from the kid's second grade teacher. To sum it up, the teacher is spending too much time redirecting kids and it is impacting her teaching time. So, she is trying the gold slip program. Each Monday morning, each child will have a gold slip on their desk. Each time a child is spoken to about talking during quiet time or in the hallways, not listening to the teacher, etc they will get an "x" on their sheet. At the end of the week, the sheet goes home for Mom or Dad to review and sign off on and return.. The gold slip program has been in place two weeks now. At the end of the first week, the teacher opened her blog post with this, "the gold sheets seem to have worked and our chattiness has gone way down!! Today will be the last week that all the students will have a gold sheet! I am hoping next week we can eliminate the gold sheets." At the end of the second week with she wrote, "we had a great week in 2nd grade!! The class is doing much better with behavior. We are still working on walking in the hallway and our voice level during morning work! But I have seen a huge improvement! Thanks!!" When presented with set expectations (no talking during silent reading), a visible reminder (gold slips), and consequences (parent involvement), the children responded and behavior changed. Managers can find themselves spending too much time redirecting staff. It takes away from the job at hand. It doesn't take more than a few complaints of a coworker talking on their phone, socializing or simply not working as hard as someone else thinks they should be before a manager can find themselves shaking their head. Is the coworker really talking too much, socializing too much or not pulling their weight? In cases where that is accurate, managers would be wise to address it. In cases where a manager does not see the same things that are being reported, what is a manager to do? It is at these times that I look further to see if the complaints really may be the symptom of another problem like increasing workload, miscommunication, or unmet (or unspoken) expectations. Wouldn't it be great (although very strange) if redirection was never necessary? The human condition makes that pretty much impossible and we all bring a little bit of our second grade selves to work each day. So, what's your workplace equivalent of the "Gold Slip?"